NIXSI Design is a professional partnership between Nikta Asanad and Sirun Akseralyan. We serve the greater Los Angeles area and specialize in high-end Interior Design for your remodel or new construction project. We collaborate closely with our clients to creatively design and effectively execute our vision for your project. Our clients love us because we pay attention to the smallest of details and complete your project with the highest standard of care. We are two creative, driven, and passionate Interior Designers with over 10 years of design and construction experience. We first met and graduated from Cal State University, Northridge. We later refined our skills and talents at a high-end Italian Design Build firm in Santa Monica designing for some of Hollywood’s biggest stars. We formed this partnership in 2017 to bring you a well-rounded and experienced design firm. We work directly with general contractors, vendors, home owners and investors alike. We believe that communication is key throughout the design, construction, and implementation stage to bring our vision to reality. A beautiful home should speak not only for your taste, but for who you are and what you have achieved in life. Koda Interiors is an award winning design firm creating exceptional spaces for exceptional people. We rely on over 15 years of experience, expertise and impeccable integrity to complete projects on time, on budget, with consistently pleasing results. Our expertise embraces residential interior and exterior design projects, corporate design such as lobbies and boardrooms, boutique hotels and spas, multi unit apartment/condo interiors and common areas, and vacation properties throughout North America, Hawaii and the Caribbean. I’m an intuitive and experienced interior designer who collaborates with my clients to design a home that echo their personal lifestyle whether its new construction or full remodel. I handle it all from concept to drawings, space planning, specification selections, product purchasing and receiving, styling as well as overall project management. I work hand in hand with other professionals, architects, builders and contractors. Nothing feels better to me than relieving stress by handling all the details and steps to getting my clients their curated home. Even if you are out of state I collaborate though phone calls, video conferencing, emails and document sharing and site visits. 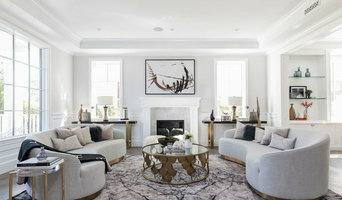 Christine Mekhitarian, a native California girl, has been designing and remodeling homes since the age of 9 with her father, a prestigious contractor in Southern California. She earned a Bachelor of Science from California State University, Northridge, majoring in Marketing. 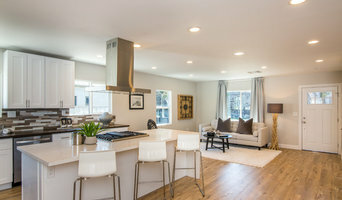 A few years later, Christine attended the UCLA school of Interior Design, where she began to capitalize her true passion in the field of Interior Design and Real Estate. Although she always had a passion for interiors, her career started in Los Angeles, working in Real Estate, presently rehabbing homes into profitable short term rental estates. We approach every project on an individual basis with thoughtful attention to the ideas, needs, personality and lifestyle of our clients. Christine creates sophisticated looks that are layered, collected and timeless. Stylish and practical create chic spaces full of personality. She creates residential and commercial spaces that are instant conversation starters – aspirational and unique, luxurious and comfortable. A good home design professional will hone your style down to its very essence and be able to choose a functional layout that feels natural to you. Interior design companies can be involved as much or as little as the client desires. Many clients who hire an interior decorator in Tarzana, CA — particularly those who are remodeling — have a good sense of how the room should look and what products they should use. Often clients will insist that interior decorators use the products already present in the house. Other times a designer will need to start from scratch — especially if this is a newly purchased or just-built home. An interior design company will need to figure out exactly what the client needs, which includes organizing rooms, picking flooring and wall colors, and finding furniture to complement it all. Sometimes that means he or she will have to recruit help from other Tarzana, CA home professionals to help create the perfect look for your renovation. Here are some related professionals and vendors to complement the work of interior designers & decorators: Architects & Building Designers, General Contractors, Home Builders, Design-Build Firms, Photographers. Do your research before meeting with an interior designer or home decorator in Tarzana, CA. Ask yourself what you want your space to become and what it will be used for. Figure out the extent of what you need help with, what your must-haves are and what your budget is. Interior design services can add up fast, so be up front with a potential design firm or individual from the beginning. Also, pick an interior decorator that fits your style. Browse through the portfolios of different Tarzana interior design firms and decide if you would live in those houses. Just because you like something doesn’t mean you could live in it. There's a big difference! Find an interior designer or home decorator in Tarzana, CA on Houzz. Narrow your search in the Professionals section to find Tarzana interior designers near you. You can also look through Tarzana, CA photos to find a room you like, then contact the design firm who designed it.